I've spent the last few days overhauling the Glacier site following our move to VAFS - multiple widgets are now on display on every corner of the website, offering real-time info about every facet of the company. In addition, potential applicants can now submit an application directly to VAFS and have it processed by me there. This should speed up the process for any interested pilots. Glacier Airlines has had a successful week since we began service on the FSAirlines client on October 27th. We have grown rapidly, with already six pilots pilots under our employment and eight aircraft to our name. However, Glacier was started using a provisional FSAirlines account, and within a week we need to commit to the use of a client to manage our airline under. After careful deliberation among management between remaining with the FSAirlines client and switching to the Virtual Airline Financial Service (VAFS) client, we've made the decision to use the latter. The current plan is to open registration to our listing on VAFS on Monday, and have all our operations transferred by the time the provisional FSAirlines account expires on Friday, November 10th. Your current rankings and as much of any other data we can transfer will remain throughout the move, the only thing expected on the pilots' part is to register a pilot account on VAFS and download the accompanying flight tracker. GlacierNord proudly introduced the Bombardier Dash 8-100 into service today, operating GLN307 from Whitehorse to Dawson City, YT. The Dash 8 is intended to serve routes to local communities where it is unfeasible to use the 737-200Adv, either due to low passenger numbers or the size of the runway. 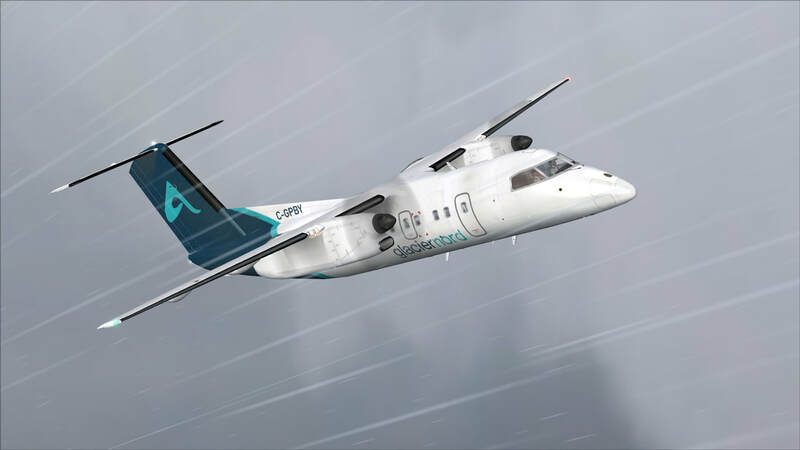 GlacierNord plans to introduce 5 Dash 8-100s over the course of the following week, one at Whitehorse, two in Yellowknife, one in Iqaluit, and one at a focus city in Rankin Inlet. The "Yukon Triangle" service, which links Dawson City, Old Crow, and Inuvik, NT with Whitehorse, is already operational, and regional service at our two other hubs and Rankin Inlet will inaugurate within the following week. GlacierNord made its maiden flight, GLN445, from Yellowknife to Edmonton with a Boeing 737-200Adv at 4:45 PM local time today. The first of many to come! 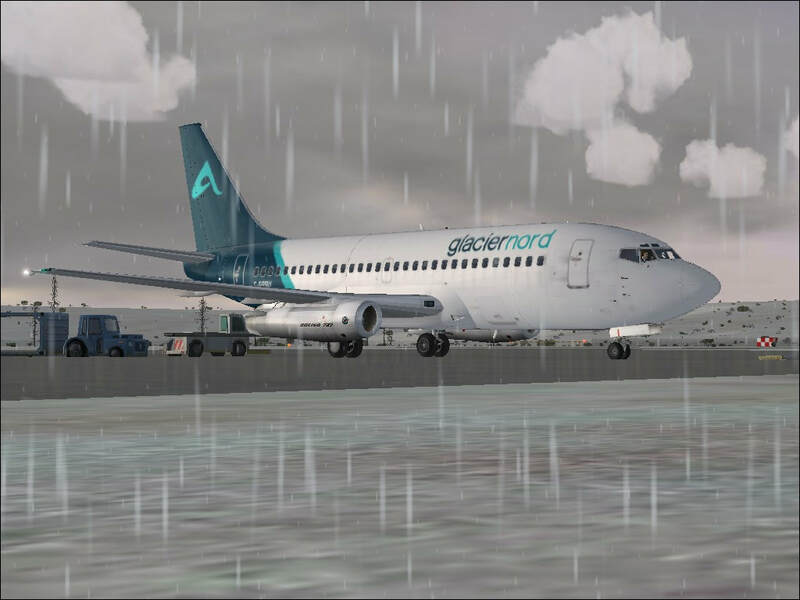 The official blog for Glacier Virtual Airlines. Updates for the airline will be posted here.